Dr. Fazle Rabbi is one of the numerous intellectuals murdered by the Pakistan occupation force and their local collaborators during the last moments of the liberation war in 1971. The people of Pabna feel proud of martyred intellectual Dr. Fazle Rabbi who was originally from there. He is one of the greatest sons of our soil. He was a physician by profession and he loved his country. Along with many others, he was killed just when the war of liberation was coming to a close. His body was found in the Mirpur mass graveyard. Dr. Fazle Rabbi never gave in and never gave up. He was born on 21st September, 1932 at the village of 'Chhatiani' in Pabna. 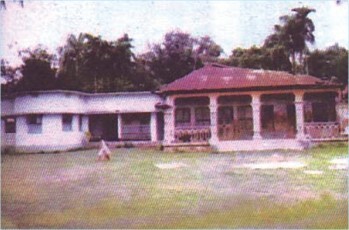 Dr. Fazle Rabbi passed his SSC in 1948 from Pabna Zila School and was on the merit list. He was on scholarship. Later he passed his HSC from Dhaka College. Then he took admission into medical college because that's what his parents wanted him to do. Dr. 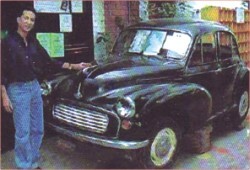 Rabbi completed his MBBS in 1955 and achieved the best results in the country. He won the gold medal from Dhaka University for his best results in MBBS and then joined Dhaka University. Dr. 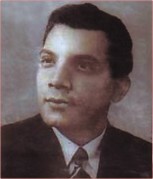 Rabbi became registrar of Dhaka University in 1959. In 1960 he went to Edinburgh for higher education in medical service. He earned an MRCP in cardiology from England in 1962. Dr. Rabbi worked in different hospitals in England. His brilliant results got him a senior post at Hamersmith Hospital in the UK. He could have stayed back if he wanted to, but he didn't. Dr. Rabbi did not care for the success and money that was his for the taking over in the UK. After completing his higher studies, Dr. Rabbi returned to Bangladesh in 1963. He joined Dhaka Medical College as an Associate Professor. He started working as a doctor and made a lot of changes to the prevailing medical service. “Dr. Rabbi was not a typical physician. He brought in revolutionary changes. He started the mass medical care service in the Shaheed Minar premises,” said Mrs. Zinnat Ara Rahman, Chairman of the Dr. Fazle Rabbi Foundation. More than just a doctor, Dr. Rabbi was always politically conscious. He always stood up against tyranny and autocracy. “The language movement in Bangladesh which was the root of movement for freedom had influenced him. He was directly involved in the mass upsurge of 1969. He had a great contribution to the liberation war in 1971,” Zinnat Ara Rahman. A book on Dr. Rabbi says that when Bangabandhu called for unity, what you had was people from all walks of life joining in to the Liberation War. Dr. Rabbi gave shelter, medical service, food and money to the freedom fighters throughout the war. Without really thinking about fate, Dr. Rabbi helped freedom fighters believing that Bangladesh would be liberated soon. He dreamt of this new nation for the next generation. The Pakistan army had him under their watchful eye. The Pakistan occupation army and their collaborators captured Dr. Fazle Rabbi on December 15 from his residence. First they kept him in the Mohammedpur Physical Training Institute. Later they took him and many other intellectuals to Rayer Bazar. Dr. Fazle Rabbi and other intellectuals were martyred just hours before the independence of the nation. “When the occupation forces realised that Bangladesh was about to become independent, they killed off the intellectuals who were the greatest minds of the country. These great human beings never got to see the sun rise over the independent Bangladesh,” said Gopal Sannyal, president of Pabna Drama Circle and a leading cultural activist in Pabna. A foundation was created to remember and honour Dr. Rabbi. “The Dr. Fazle Rabbi foundation was formed to carry on the dream of Dr. Rabbi. The foundation gives education to the poorest of children. Also the Dr. Fazle Rabbi Foundation is giving training to poor women. The foundation is working to create employment for the poor,” said Fazle Shaharan Bipu, Member Secretary of the Dr. Fazle Rabbi Foundation.